Realtime PCR Plates are the perfect lab solution for realtime PCR reactions and melting curve analysis applications. They fit almost all standard PCR and thermal cycler machines and offer you high throughput - available with 96 wells, or even 384 wells, per plate. 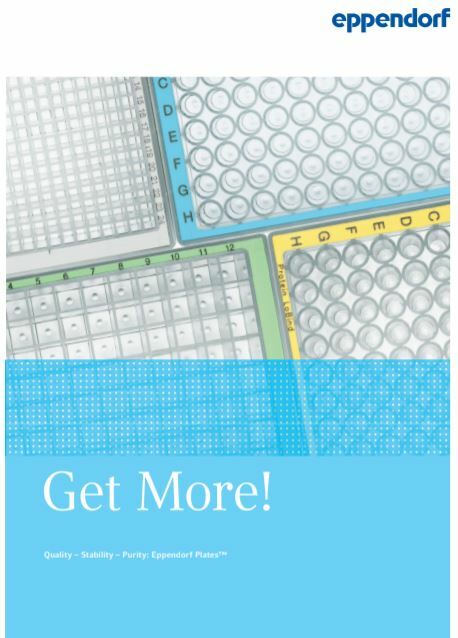 When compared to the throughput of individual PCR tubes or 8 well PCR strips, these Realtime PCR Plates will save you time through running multiple reactions simultaneously and allowing you to plate up with multi channel pipettes. 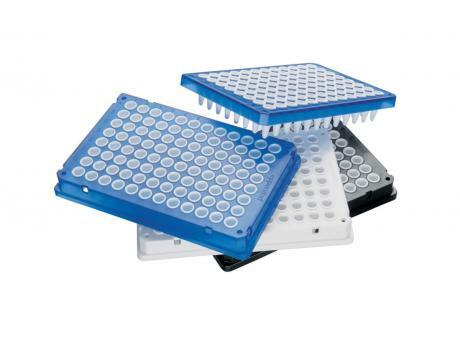 Eppendorf twin.tec Realtime PCR Plates offers all the advantages of regular twin.tec plates with the added advantage of white wells for your real-time PCR reaction application. The white wells significantly reduce interfering background fluorescence and lead to increased homogeneity of replicates and better reproducibility of your realtime PCR results. 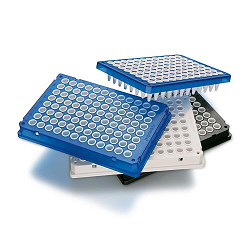 Eppendorf twin.tec Realtime PCR Plates combine extremely thin walled polypropylene wells for optimal heat transfer to the sample and extremely robust polycarbonate frames for ultimate rigidity and torque-resistance. The white wells of the Eppendorf twin.tec Realtime PCR Plates reflect fluorescence much better than clear or frosted wells. Thus, lower levels of fluorescence are still detectable with the same instrument, just by using the right consumables when carrying out your Realtime PCR experiments, giving you a higher intensity of fluorescence and improving the sensitivity of qPCR. 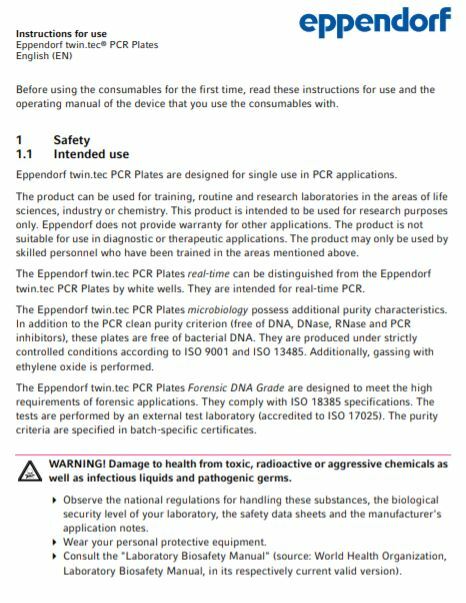 Eppendorf twin.tec PCR Plates for realtime PCR reduce Ct values more effectively than other plates tested in comparable circumstances. On average, Ct values occur 0.8 cycles earlier (compared to clear well plates), indicating the improved sensitivity of these Eppendorf twin.tec Realtime PCR Plates.